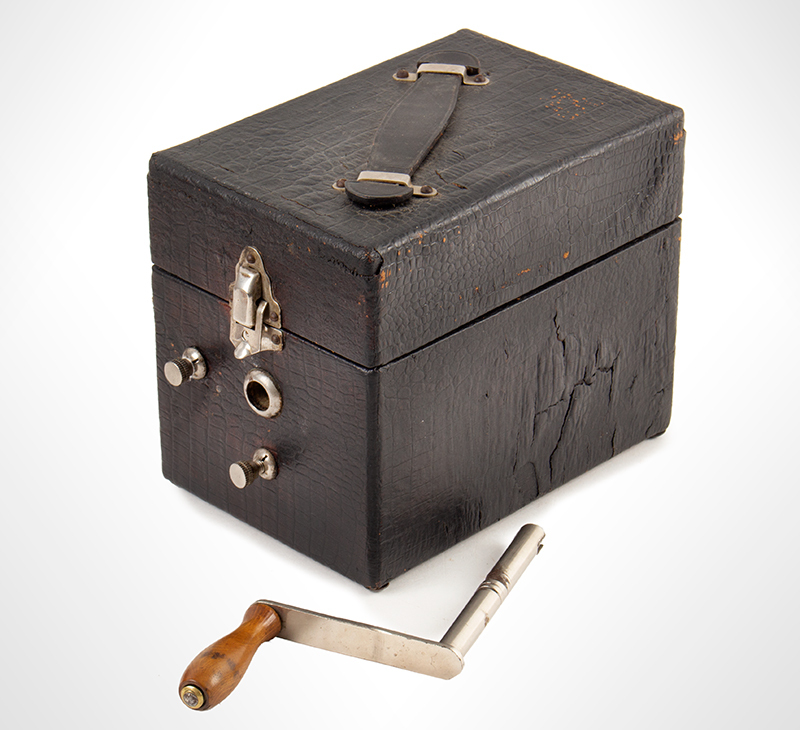 Spring-wound phonograph in the style of a leather-bound box camera. The tortoise shell sound bubble is received by the tone arm...produces loud volume and clarity. Leather bound case...working condition. 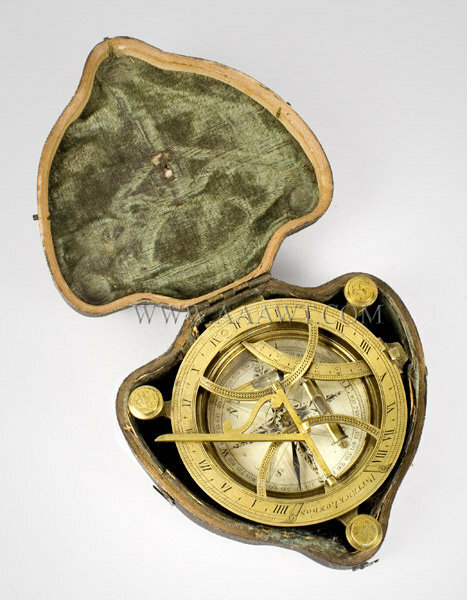 A pocket compass fitted in a turned and threaded brass case; folding gnomon; the exterior chapter ring displays impressed numerals. 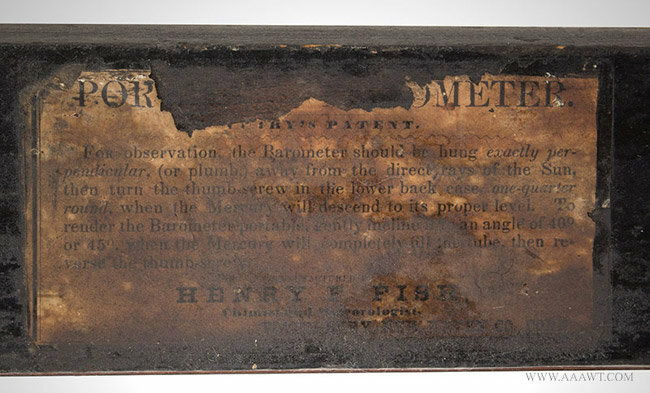 An excellent example of a very rare tool by famed inventor, artist and publisher of Scientific American, true Renaissance man- Rufus Porter; only the second we have handled in more than thirty-years! 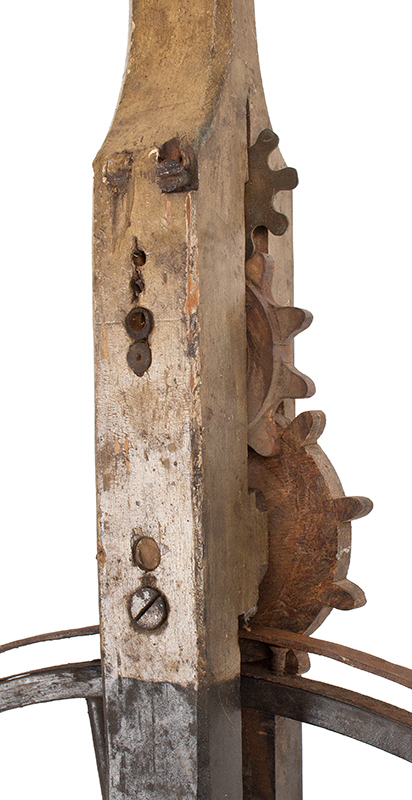 We think that this is a very special piece of Americana that speaks to multiple collecting interests; appealing to level/tool enthusiasts and to followers of Rufus Porter. 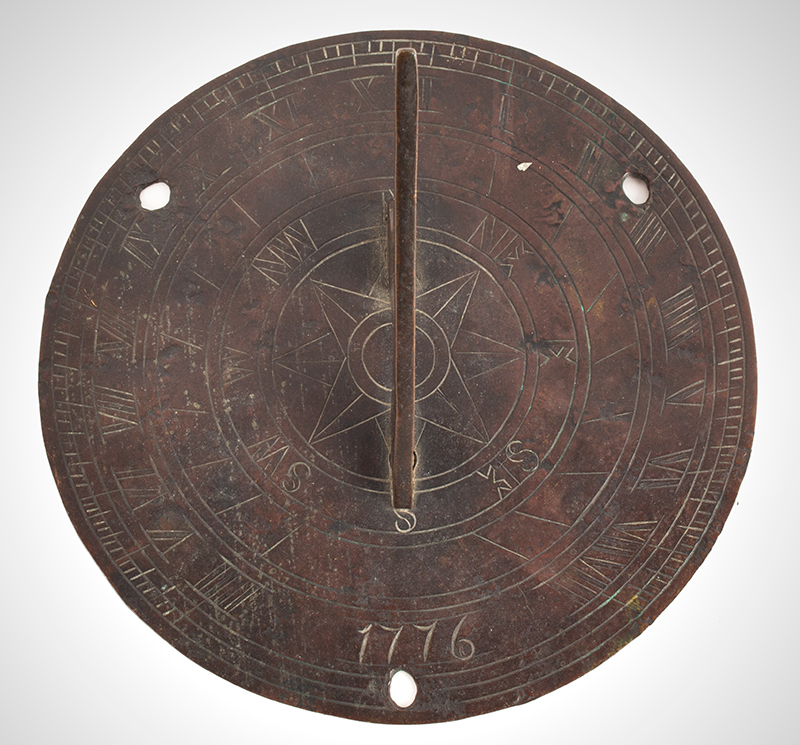 The illustrated dial face depicting masons using the device to construct a wall features spandrels centered by a star in each corner. 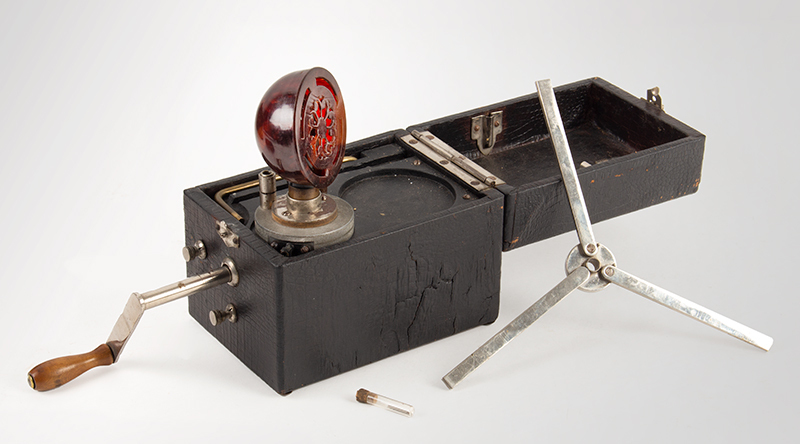 Finely joined mahogany frame retaining original finish; the weighted pointer retains original bluing; original glass. 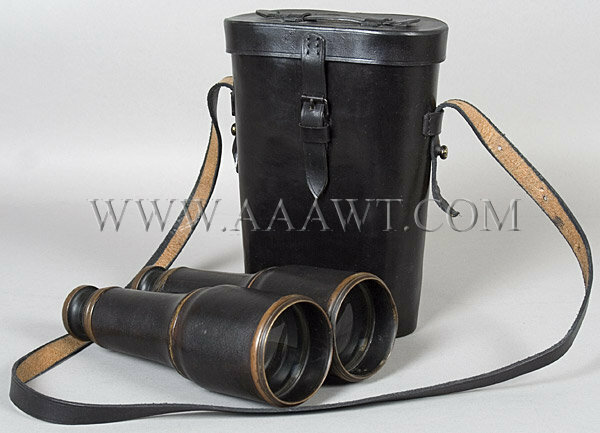 Brass binoculars with black covering; brass retains about 80% of blacking; no maker mark; very good to excellent; focus is excellent; black leather case is not period. 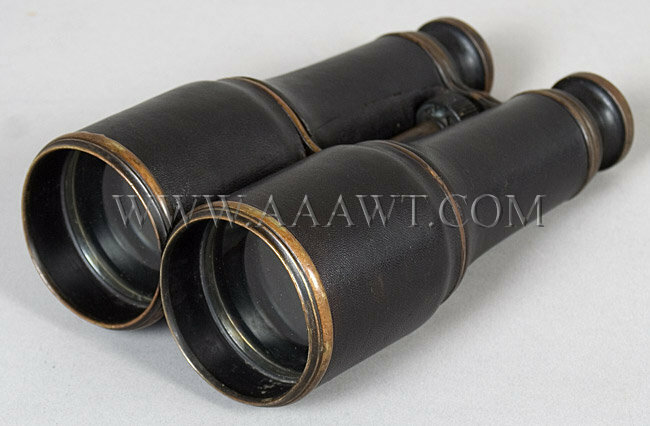 The binoculars measure 9.5-inches extended and 8.25-inches closed. 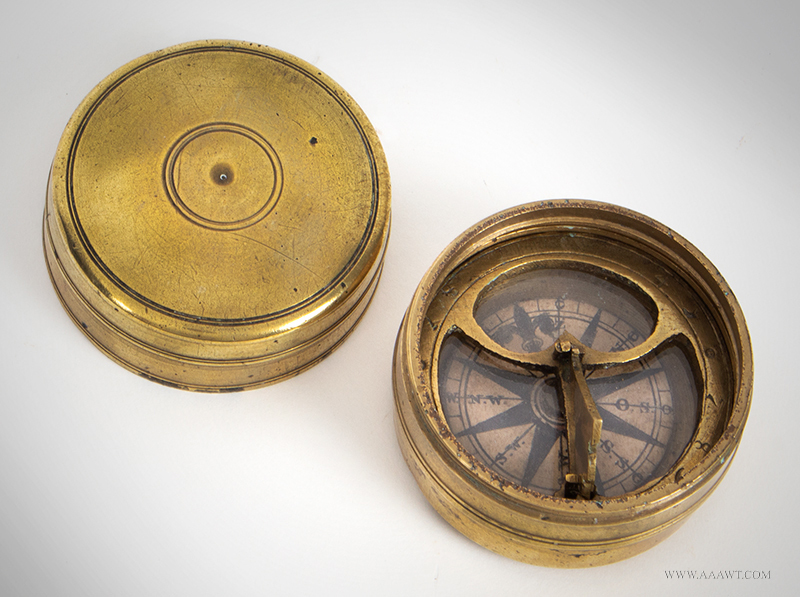 Brass one draw telescope with black leather cover; marked on draw "MARINE INSTRUMENTS / LONDON & -----" (marks are worn;) slide works; very good condition, leather end cap may be replacement. The telescope measures 31.75-inches extended, and 29.25-inches closed. 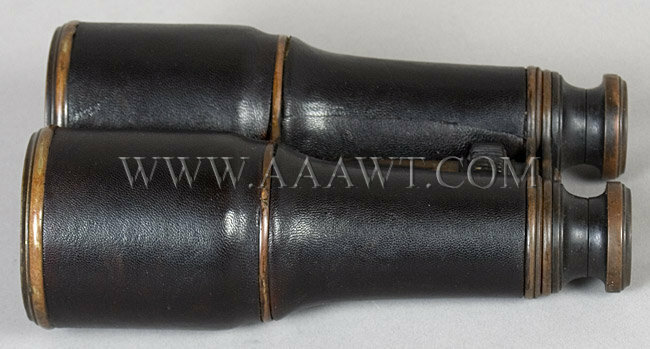 A two draw brass telescope with brown leather grip; screw cap; no markings but possibly London. 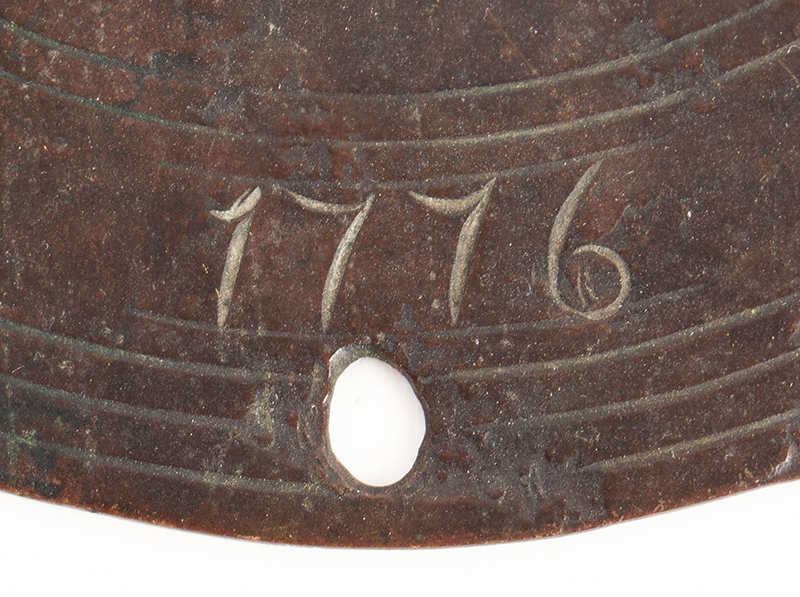 The telescope measures 16-inches extended, and 6.75-inches closed. 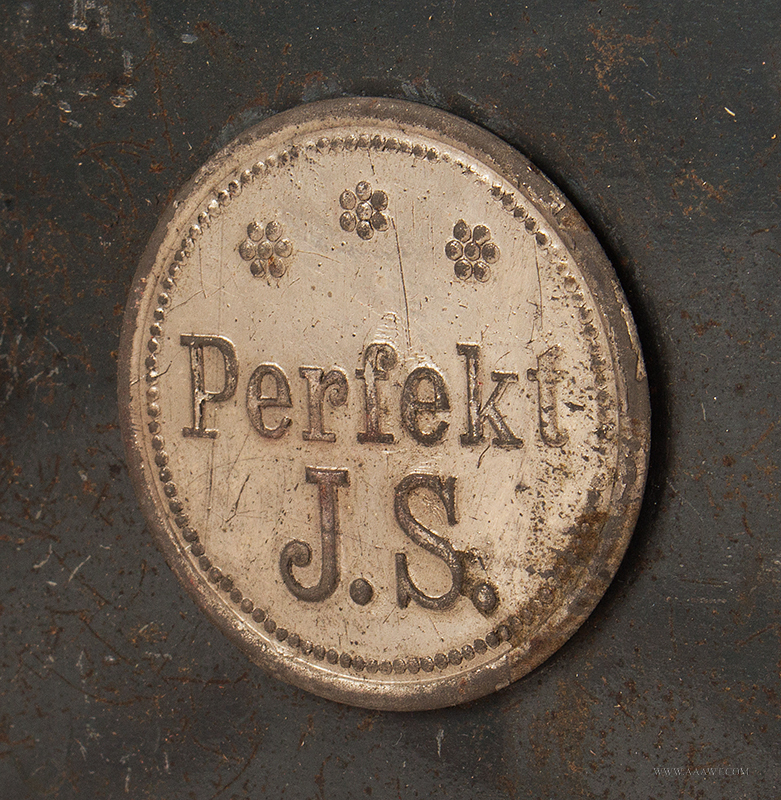 Stamped by maker, dry cell type, two mirror, 5-point, removeable lens cap. 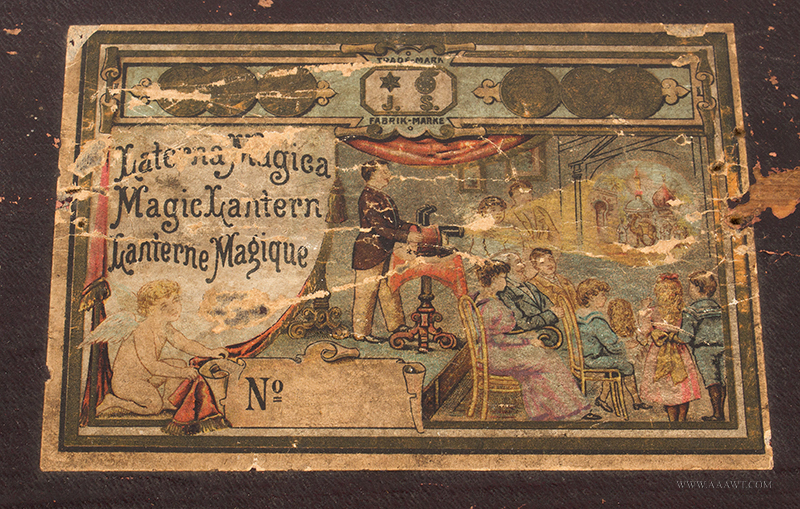 Made between 1873 and 1900. Turned wood pedestal on tripod base. 9.5" high. 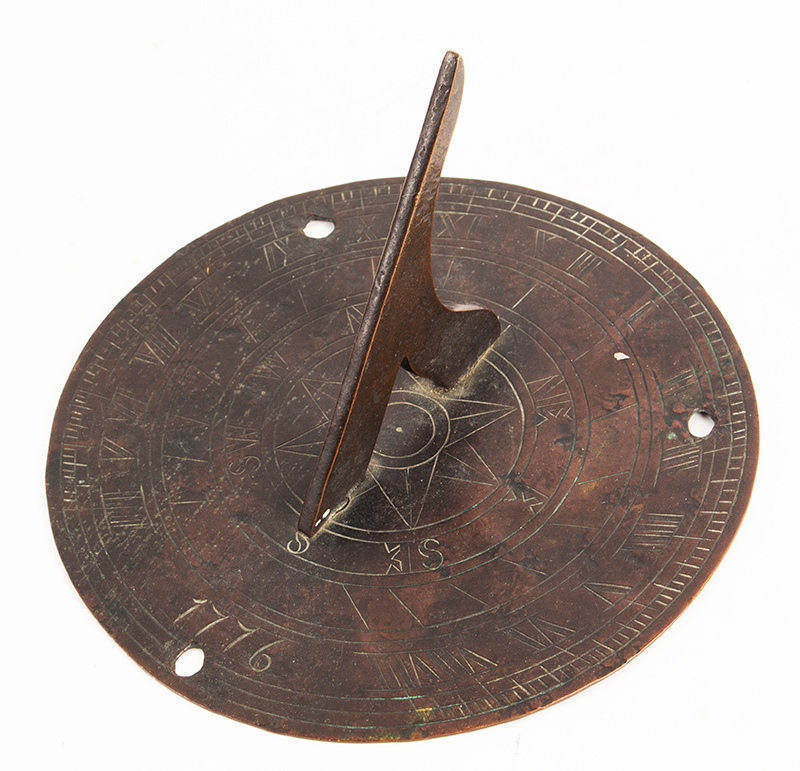 Scope is 10.25" long, 3.5" diameter. 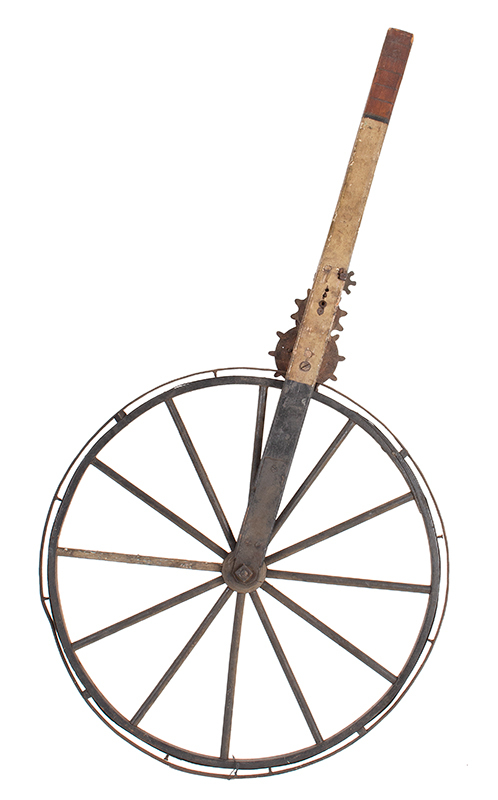 Cardboard tube with brass end and brass ship's wheel turning dry cell with ampules; 2-mirror system, 5-point mandala, magnifying end. 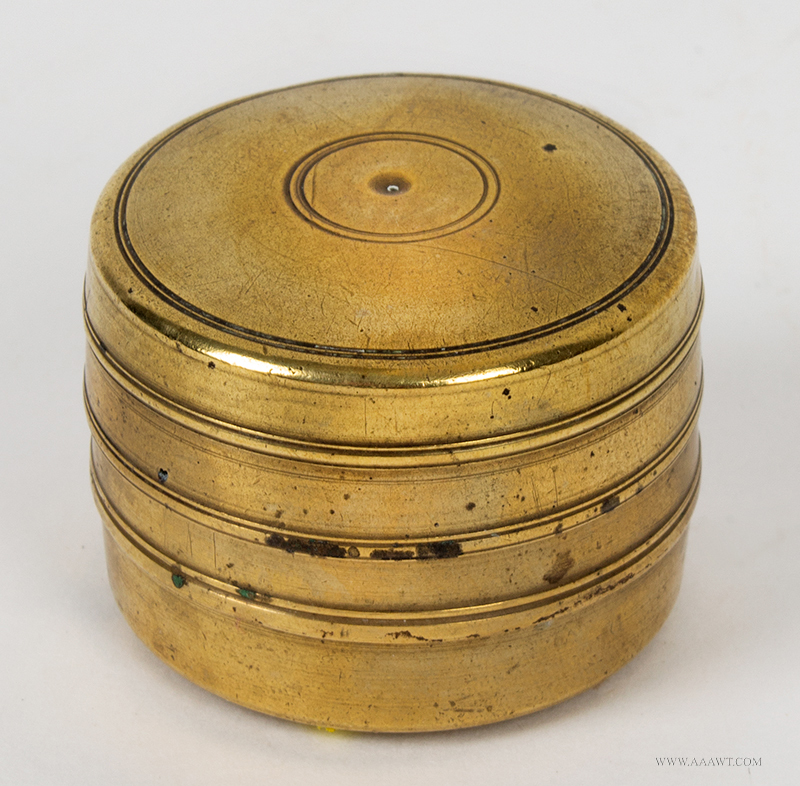 Brass bowl and gimbal, three-tier brass-bound mahogany box with top-lid, (vacant escutcheon) and base; decorative key-hole escutcheon, the base with inset bone disc (cracked) inscribed 1054, external brass drop handles. Robert Roskell worked under his own name at 31 Church Street in 1839…he favored Kulberg movements and Hartnup and Eiffe balances. 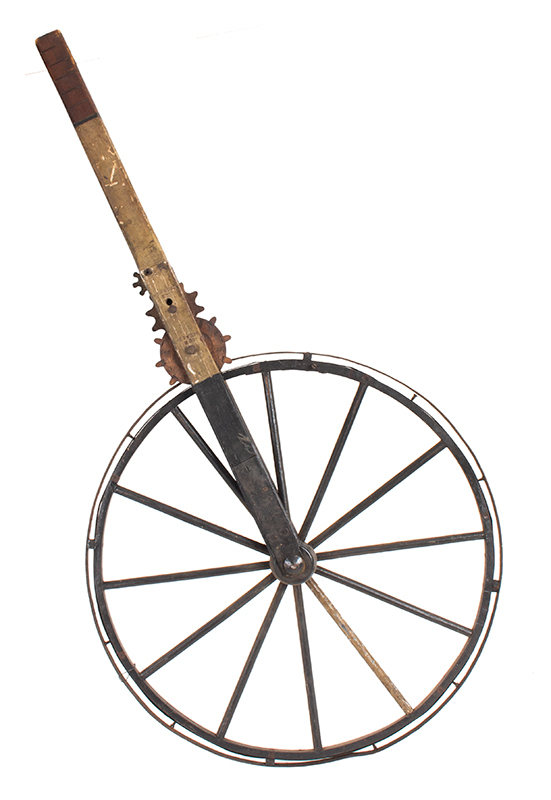 Instruments made under Robert Roskell’s name [alone] are rare, this combined with the early date greatly increases the importance of the instrument. 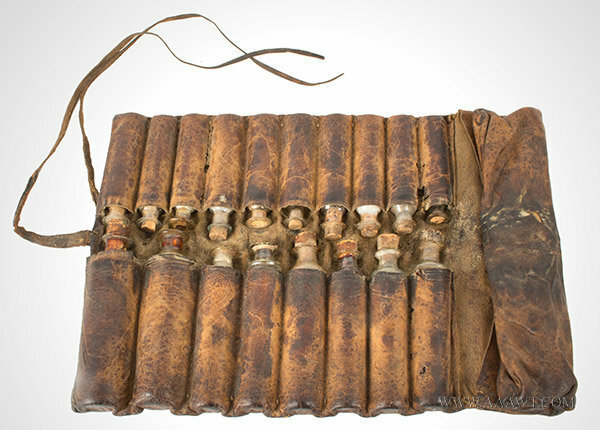 The small case measures 6.5 x 6.5 x 6.5"…main spring is replaced, we have original. 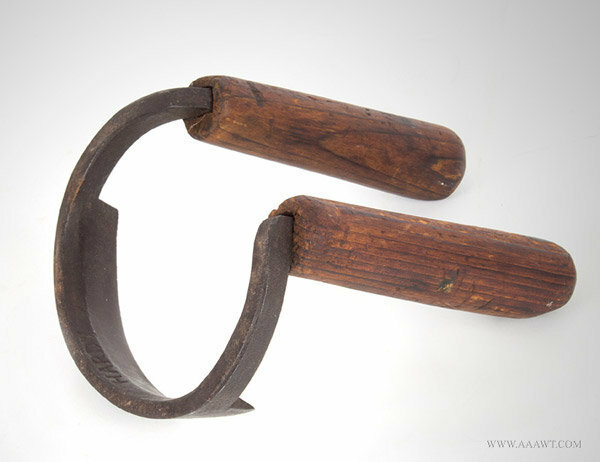 A simply gorgeous tool; art and function combined. 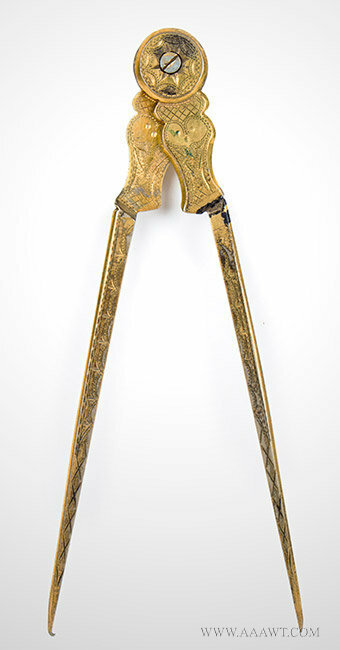 This working example remains in scarcely encountered untouched original surface including 95% japanning and 95% of the original and elaborate gold ornamentation. 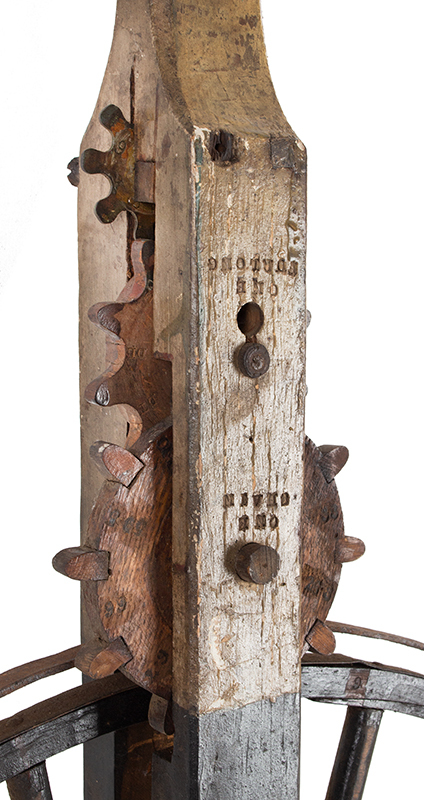 The base displays original milling marks. 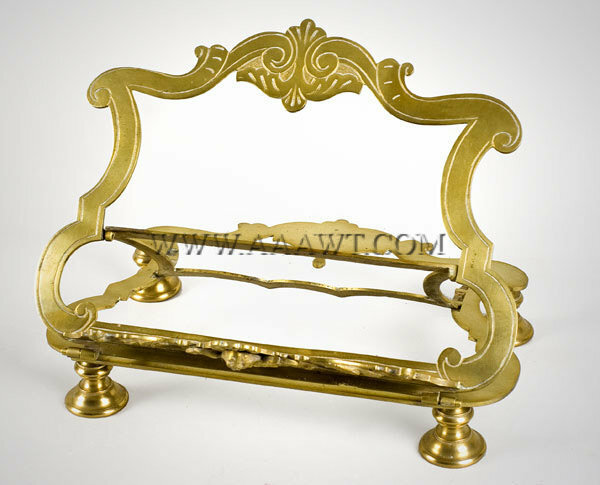 This stunning example featuring gold painted trim dates from 1875 and is the first type offered by the Davis Level and Tool Company, also the least common variation. 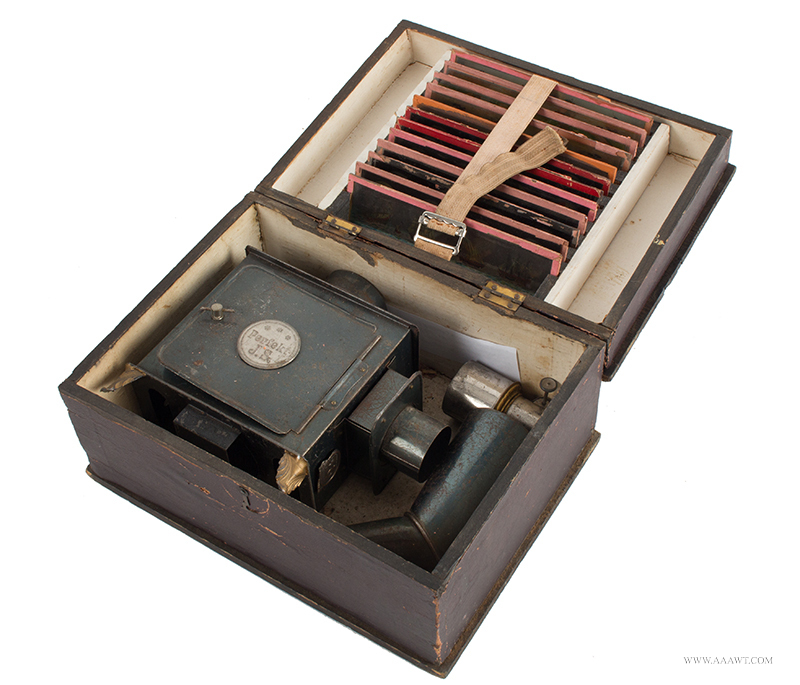 John W. Harmon Artificers Sighting Level within its original wooden slide-top box; complete with two bases. 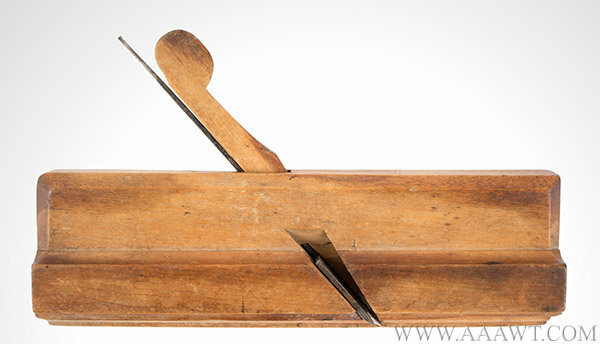 (The round base is rarely found with this tool as it was not attached and was easily separated.) This example in superb original condition retaining 98% original japanning and very appealing multicolored (red, blue and gold against black) pin striping. 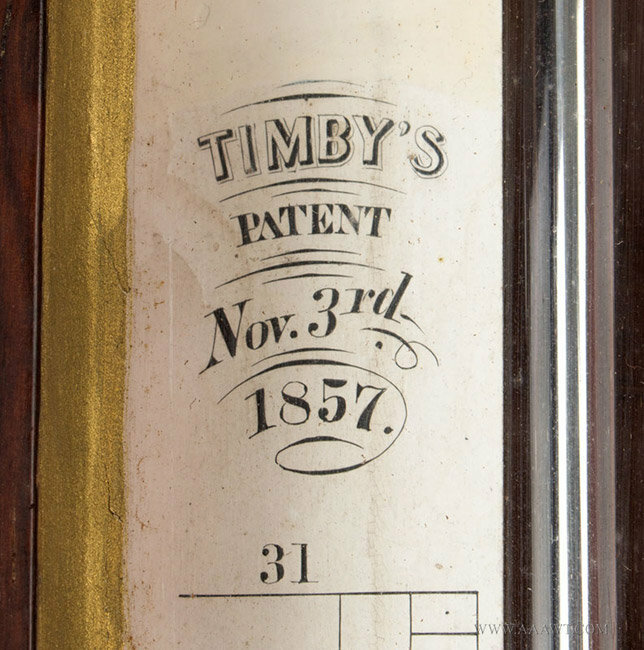 The sight tube retains 100% original nickel. 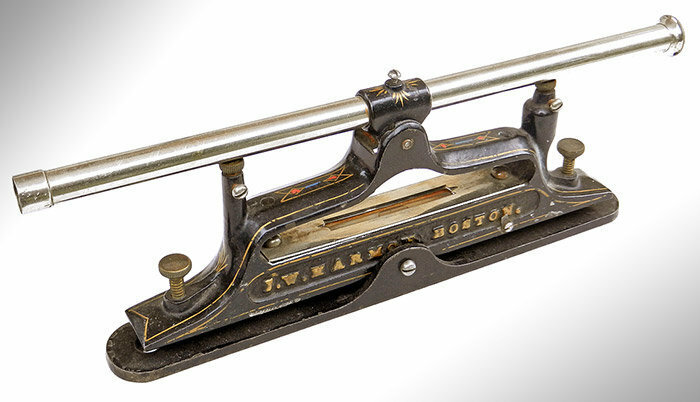 Harmon patented three variations of this device, this is US Patent 234,709. 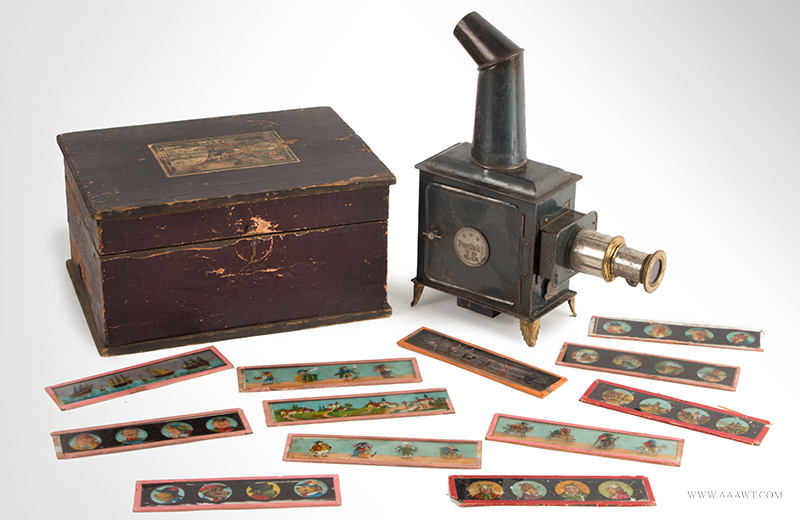 Again, one of three known within original boxes; our consignor owns two; here's your opportunity! 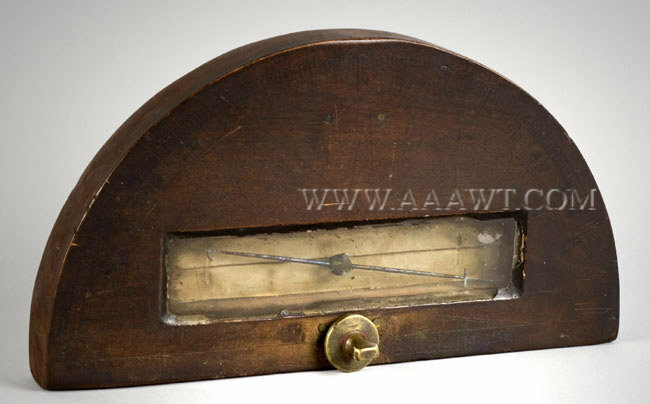 Pediment top with silvered humidity dial, waist with thermometer dial, bulls-eye mirror; weather dial, and name disk with level. 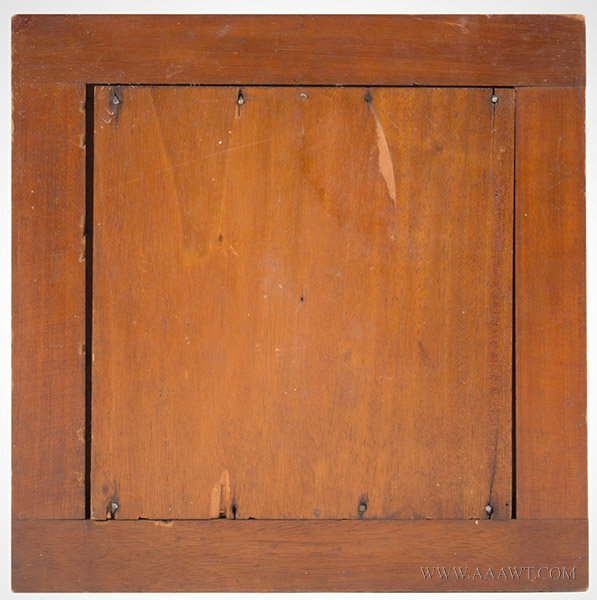 Retains knob, backboard and paper label. 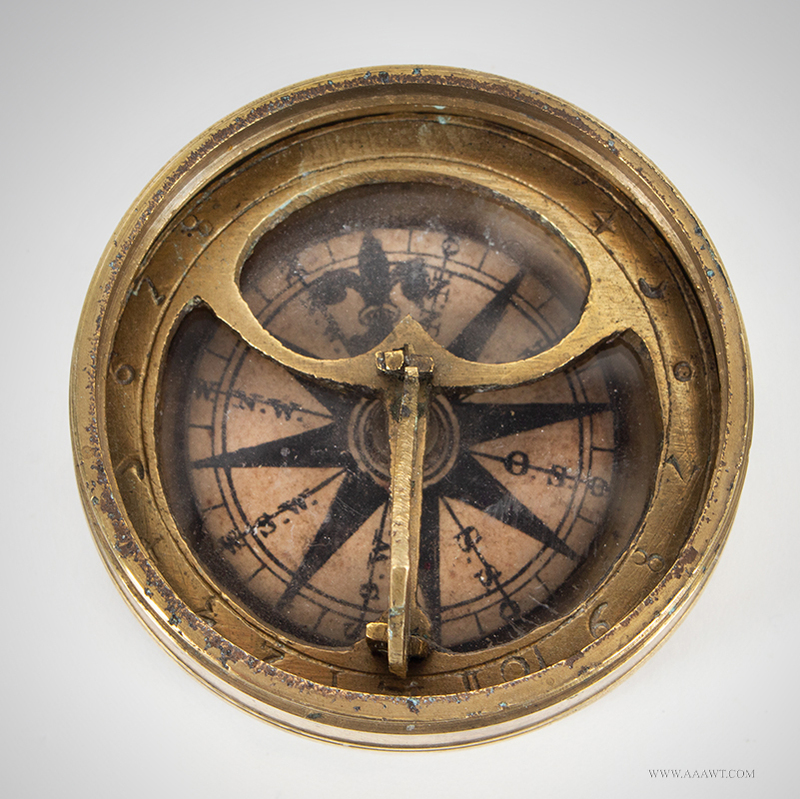 Dimensions: 38.5" H, 9.75" W, 2.5" D.
This example features a compass in the base, three leveling screws and a pair of bubble levels. 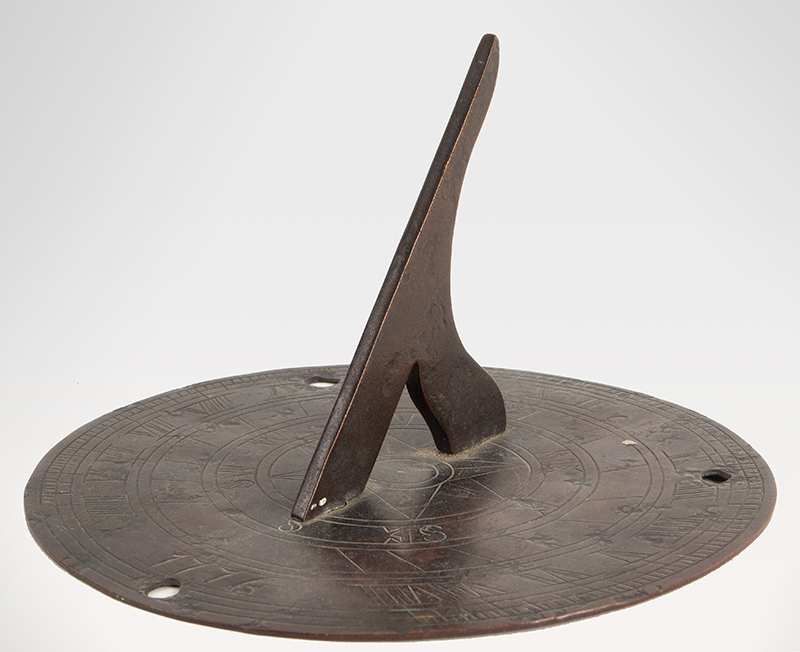 The hour plate is hinged; user may set any angle of latitude from degree marks on arched arm fitted to one side of base. 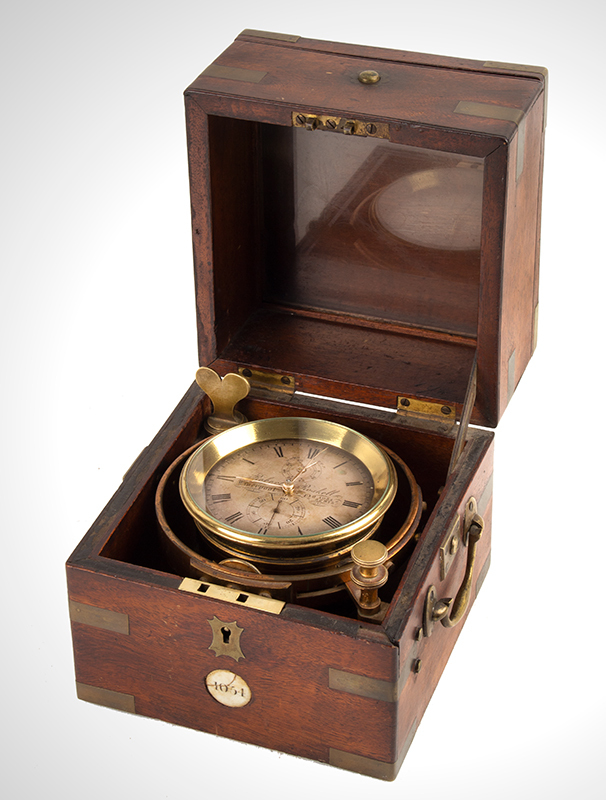 The gnomon and arm are hinged accommodating flat packing within shark-skin case. 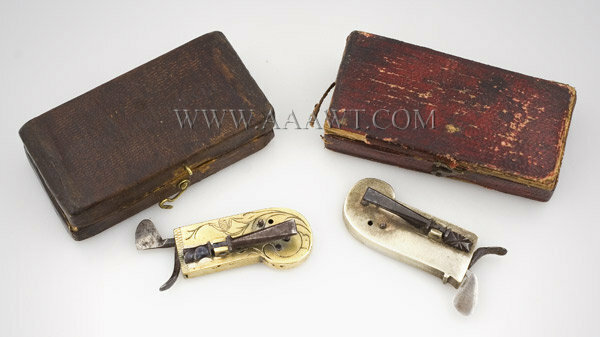 The instrument is finely engraved and remains is excellent original condition; wood case covered in Shagreen is generally very good with very minor imperfections limited to vapor barrier and two tiny adjustable foot punctures that pierced the bottom of case. 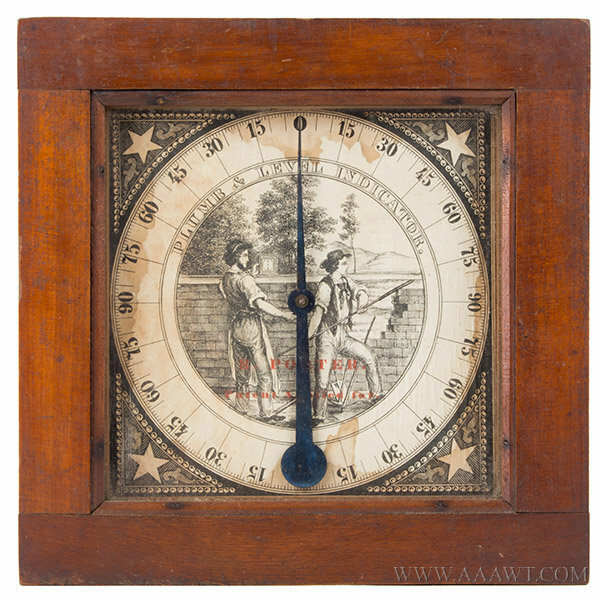 An uncommon simple barometer made in Vermont featuring a paper label within the simple case ornamented with ripple-moldings. 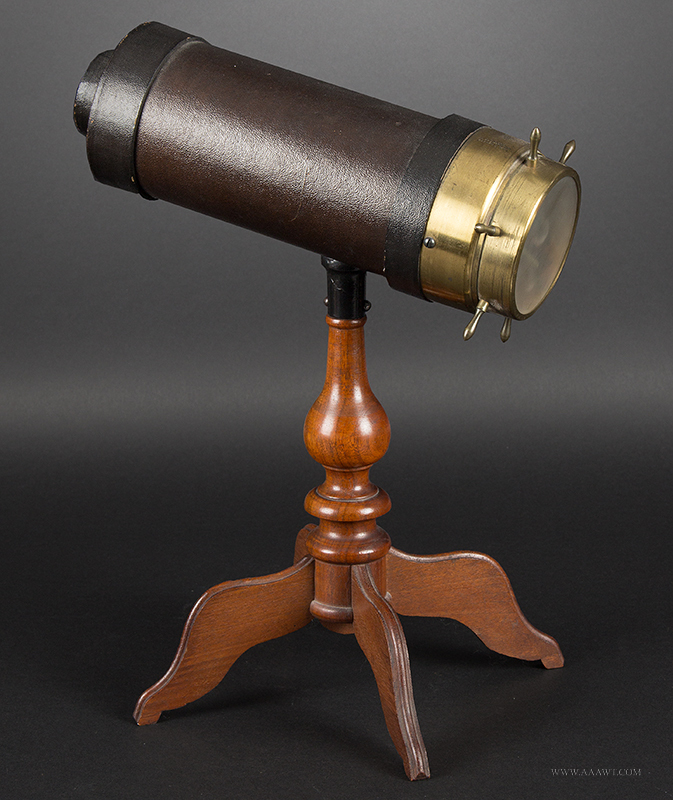 Dimensions: 35" H.
Dollond type telescope; painted wood barrel; brass lens fittings, front cap has slide and can be removed; slides work; no maker's mark; very good with only minor flaking of paint. 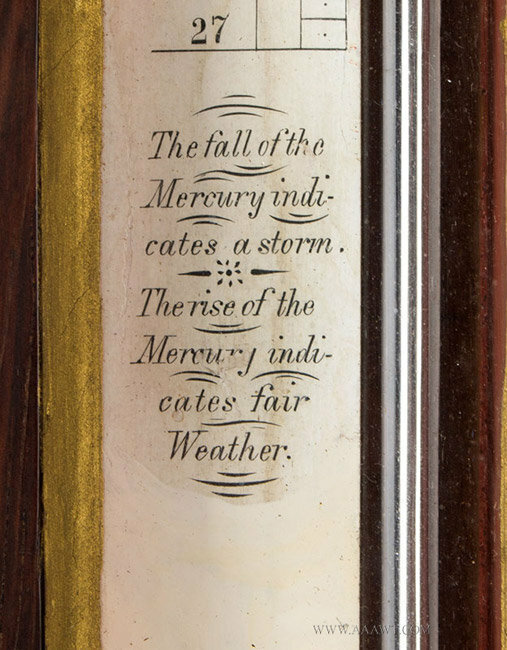 Measures 21.5-inches long.